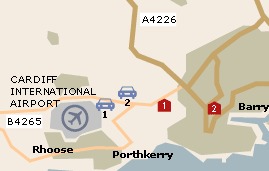 Cardiff airport parking can be either on-airport or off-airport. 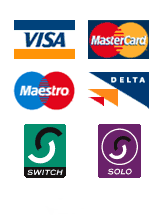 For details of Cardiff airport parking options simply select from the map or the following list to view the facilities which suit your needs best. We are certain that with our price match guarantee you will find the best possible price for your Cardiff airport parking. The Cardiff Days Inn Hotel (formerly Cardiff Airlodge) is a 3 star hotel close to Cardiff Airport. The hotel offers a good nights sleep and a fast transfer into Cardiff Airport. Located less than a mile from Cardiff airport, the Express by Holiday Inn is perfect for quick, no-hassle transfers. Parking is at nearby secured Airparks facilities. Cardiff Airparks Express is a new service offering you the luxury and convenience of a meet and greet service upon your return to Cardiff Airport for a reasonable supplement. Park your car with Airparks as normal and, on your return you car will be delivered to you, saving you the need to transfer to the Airparks car park.